Today, I slept a couple of hours too many and that resulted in a groggy morning and a headache. But today, we had to write autoresponders. 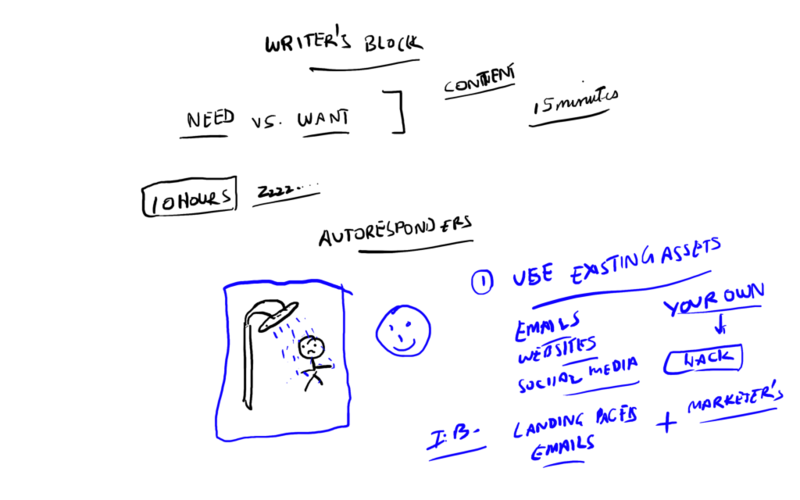 In today’s “15-Minute Sprint”, I was able to write two autoresponders and also set up a couple of case study landing pages for my Bizathon Challenge. b) I had to write autoresponders on the live stream. There’s a big difference between a NEED and a WANT. If you NEED to be successful – you will do everything in your power and eventually be successful. If you WANT to be successful – you will be more prone to distractions and lack of action. So here’s what I did: I got in the shower and had a nice long hot shower. That helped calm the brain down – drowning all negative thoughts and also helped soothe the headache. Next up, I realized that I already had ASSETS that I could use in this business. I’ve already promoted Inbox Blueprint in the past to my other lists in other businesses. I can probably take the email copy and videos etc. from those and build out from there. This is the LAST email I send you. Time to take ACTION now. Looking at these subject lines, I realized we need to do a close for the I.B. workshop promotion too in our autoresponder sequence. It would probably be like Email #7. We’ll build that up in a few days. Just before the live stream, I was browsing some YouTube videos – and Trump related videos kept coming up again and again. So I had this thought of combining politics with the Email Marketing angle. Sure enough, a quick Google search for “email list in politics“, gave me a Politico article that talks about how big Obama and RNC’s email lists are. We had a new hook for our next autoresponder email. Learn more about hooks and how to become a better copywriter with Copywriting Academy. 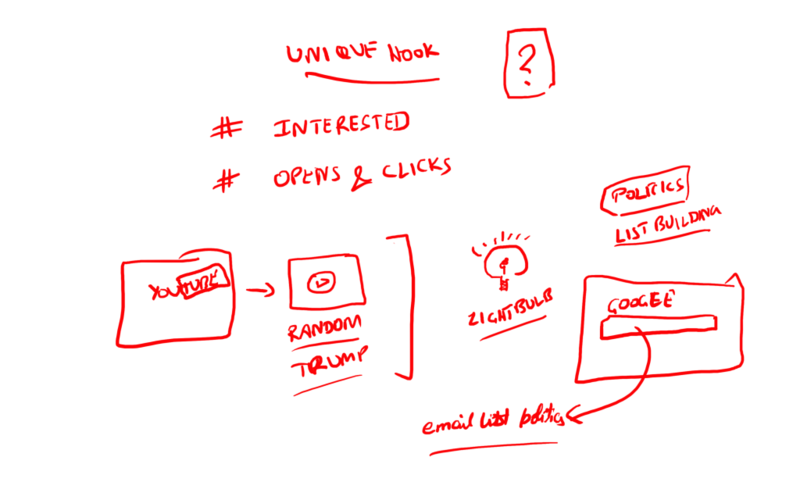 With all this inspiration, I decided to write the next autoresponder email that combined politics and Email Marketing. Today, I was also able to take a couple of assets like some case study videos where I explain about my digital product business and emails that go with it – and built up a couple of landing pages inside our WordPress blog. They look super-ugly. But we’ll get to them later. At least we have the URLs to enter in the autoresponders. I also realized yesterday that our first autoresponder was hitting the SPAM box in Gmail and Yahoo – so I spent a minute tweaking it. In today’s sprint – I only had 14 minutes to work. We will be tweaking and testing the autoresponders in the next few days. I ended the session with a warning to EDUCATE yourself before investing in traffic. 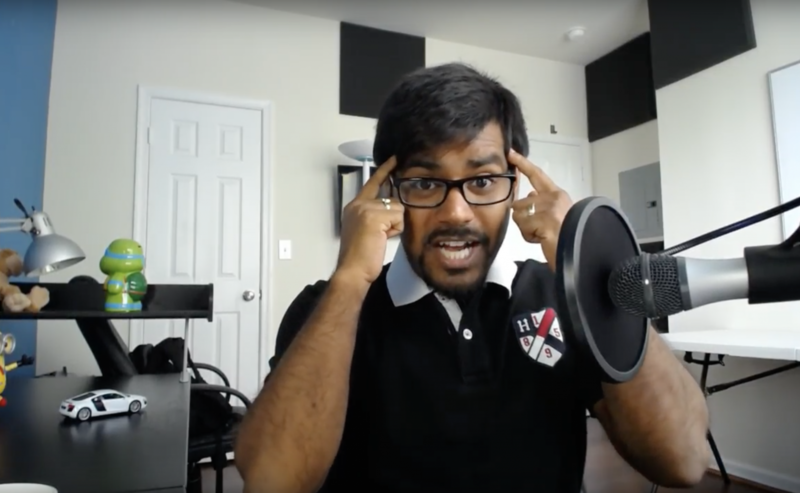 You need to understand psychology for copywriting, how to write better autoresponder emails, conversion strategies, and a lot more BEFORE you start driving traffic. Which is why I recommend joining Inbox Blueprint and learning all this first.